‘I Am Easy To Find’ will arrive on May 17 via 4AD, following 2017’s chart-topping ‘Sleep Well Beast’, and will be accompanied by a short film of the same name by Mike Mills. The band explained via social media that “the former is not the video for the latter; the latter is not the soundtrack to the former,” but, Miller states, they are “playfully hostile siblings that love to steal from each other” in terms of theme, touching on what it means to be a human in 2019 using words, music and imagery. Starring Alicia Vikander, full details on the film will be announced soon. A short trailer is available here. The first single from ‘I Am Easy To Find’, You Had Your Soul With You, has also been shared, and features an appearance from Gail Ann Dorsey, a long time member of David Bowie’s band. Elsewhere, the record utilises vocals from Sharon Van Etten, Kate Stables of This Is The Kit, Mina Tindle, Lisa Hannigan, and the Brooklyn Youth Choir, with whom guitarist Bryce Dessner had been working with in Paris for a chunk of 2018. 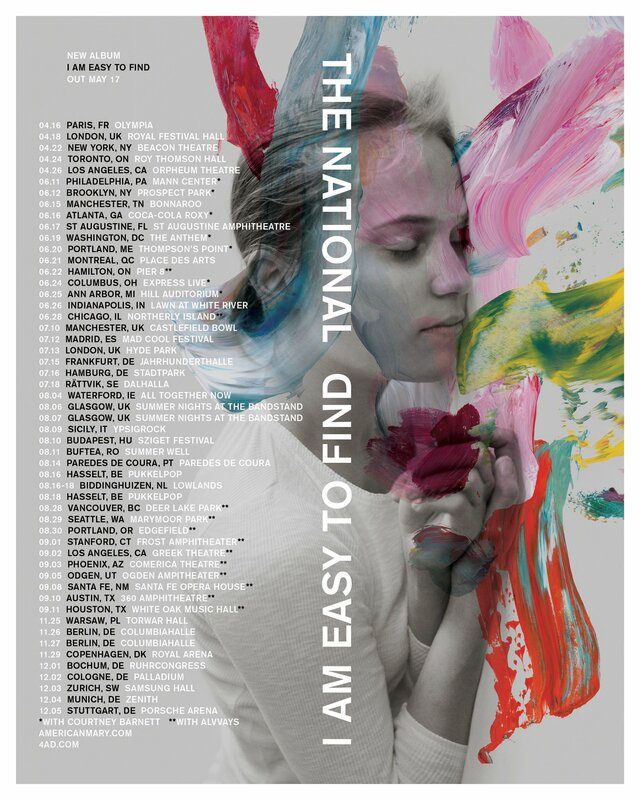 The National will also embark on a huge world tour to support the record, with new dates announced for Europe and the US throughout 2019. 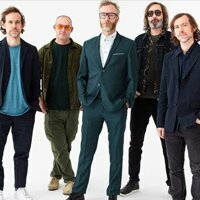 The news comes shortly after revealing special Evening With shows in London, Paris, New York, Toronto and Los Angeles during April, in addition to their already confirmed dates in the UK at Manchester’s Castlefield Bowl, London’s British Summer Time festival, and at Glasgow’s Kelvingrove Bandstand over the summer. Listen to the new song and check out the album artwork, tracklist and tour dates below.